CINCINNATI — With two more launches of the Block 1 version of the Space Launch System now planned, NASA is starting work to procure and human-rate additional upper stages. NASA originally expected to fly the Block 1 version of the SLS only once before moving to the more powerful Block 1B version of the rocket. The Block 1 uses an upper stage known as the Interim Cryogenic Propulsion Stage (ICPS), based on the Delta 4 upper stage. The Block 1B will replace the ICPS with the Exploration Upper Stage, a larger upper stage under development. However, with funding from Congress provided in the fiscal year 2018 omnibus appropriations bill to build a second mobile launch platform, NASA now expects to use the Block 1 version more than once. Those additional launches can take place using the existing mobile launch platform while the new one, designed for Block 1B, is built. That move is designed to reduce concerns about a long gap between SLS missions had NASA gone through with original plans to modify the mobile launch platform after the first SLS mission so it could be used for the Block 1B. 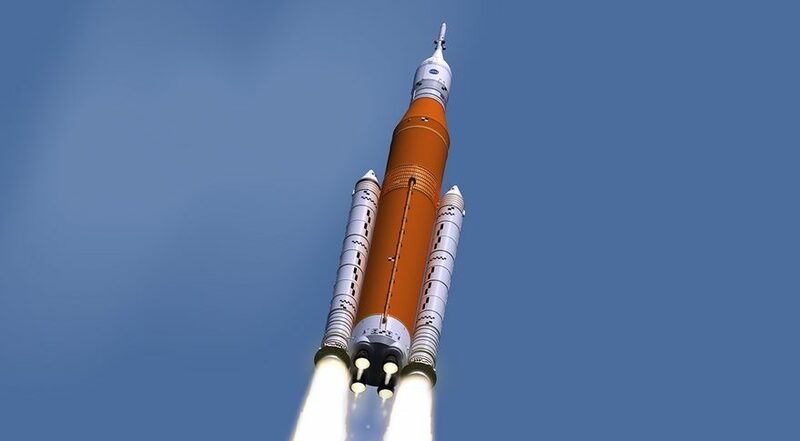 NASA schedules now call for three flights of the SLS Block 1, starting with Exploration Mission (EM) 1. That will be followed by EM-2, the first crewed mission, in 2021, and a “cargo” mission in 2022. That cargo mission could be used for the launch of the Europa Clipper spacecraft, which is required by past appropriations bills to fly on an SLS no later than 2022, although NASA’s fiscal year 2019 budget request proposed launching it in 2025 on a commercially procured vehicle. “The first three missions will be of the Block 1 configuration, which includes the ICPS,” said Chris Cianciola, deputy program manager of the SLS program at NASA’s Marshall Space Flight Center, in a July 9 panel discussion. The order of EM-2 and the cargo mission could be reversed, he added. One of the new stages will require modifications to meet NASA human-rating requirements in order to launch a crewed Orion spacecraft on EM-2. One addition to that ICPS, he said, will be an emergency detection system that can warn the Orion of a problem that would require an abort. That system would likely be based on one developed by United Launch Alliance for Atlas 5 commercial crew launches. Another widely discussed issue with the SLS Block 1 is the launch date for its first mission, EM-1. “That’s currently scheduled for December of next year,” said Cianciola. However, in other presentations at the conference, both NASA and industry officials hinted that a more accurate launch date is the middle of 2020. Cianciola said later that the first SLS, on current timelines, won’t be ready to support a December 2019 launch. “We know that we’ve got somewhere between four and six months of risk,” he said, meaning that, without changes, the vehicle would miss that target date by four to six months. “But that doesn’t mean that’s where we’re going to end up,” he added. “We’re doing things to pull it back in.” Boeing, the prime contractor for the core stage, is taking a number of steps to recover some of that schedule by rearranging the flow of activities. However, he warned there’s also the possibility of “unknown unknowns” that could add new delays to the vehicle’s schedule. The critical path for SLS, he said, is completing the engine section, mating it to the rest of the core stage and performing tests, including a “green run” static fire test of the core stage’s four RS-25 engine planned for next year at the Stennis Space Center.